Despite the moves to scanning, PDFs and tablet and smartphone computing, printing is still a very necessary enterprise evil. And keeping all these devices working and make efficient use of paper and toner resources is a job IT would often rather not do. 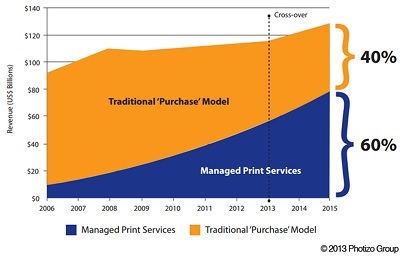 That’s why the major printer vendors, including Xerox, HP, Lexmark and Konica Minolta (News - Alert), are all moving to a services model. According to CRN, channel partners would be wise to move with managed print services vendors. 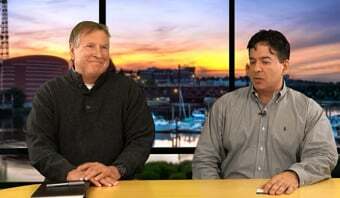 Author Ken Presti believes now is the time for MSPs and VARs to leap into the managed print fray. MSP print services can change the way is printing is managed, and achieve a higher value from these resources by tracking all devices, and the use all printing consumables and using that data to rationalize how the entire enterprise prints. Presti analyzed how Konica Minolta approaches the market, and that provider focuses on the big picture of reducing overall expense and creating a plan for wiser print investment. Printer makers are looking more and more for partners that won’t just resell gear and services, but really add value by helping the entire more tightly control print resources. Many managed service providers are used to working with gear they own. In the case of printing, often the MSP is charged with managing customers’ gear. But as the service contract goes on, the MSP is the one driving the choice of technologies based on its expertise and an analysis of printer use. Recently we brought you news of the Xerox print partner program now just a year old. Xerox has been adding scads of partners for its managed print service, including 70 in Canada alone. Xerox is clearly transitioning to services, and registering some 30 percent annual growth in that sector. 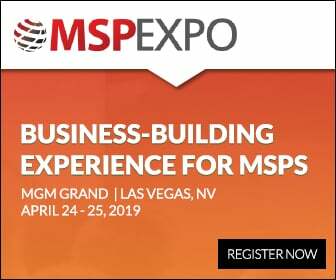 Meanwhile Konica Minolta is sponsored an analysis of the print services market, “Key Trends in Managed Print Services (MSP).” Soon spending on services will exceed that of on-premises spending.